Contrary to what many believe, there is a spiritual gift of evangelism, Ernie Perkins told those gathered at the Vocational Evangelist session of the State Evangelism Conference. Speaking during the opening session, Perkins, an evangelist from Okahoma City, said people will deny that, saying evangelism is a spiritual obligation. Perkins said he believes winning and evangelizing people for Jesus is the major task of the church, but also one of the hardest things for most Christians to do. He said some can evangelize easily, and those may have a tendency to question others’ love for Jesus because it is not easy for them. Perkins said he believes witnessing to the lost is a discipline that can be taught. Also speaking to the Monday morning session were Clint Sinclair, Okemah; Richard Bailey, Ada, and George “Marty” Brock, Cushing, who is president of the Oklahoma Conference of Southern Baptist Evangelists. Speaking on revival, Sinclair said bad people, broken people and burdened people need revival. He said the prerequisites for revival are holiness, hope and humility. He added that people who are downtrodden with no hope and no future need revival. And he said, you have to be humble. Bailey said when people become Christians, their lives should be different. He said we tend to worship the things of this Earth and play with God instead of the other way around. Brock told those gathered in the auditorium of Moore, First that the Christian life is played out on the battlefield. Preaching from Isaiah 43, Brock said God is able to make better things of the past and He promises to make over the things of the present. “To be a part of God’s new thing, you have to admit your failures, acknowledge His faithfulness and claim His promises,” he said. 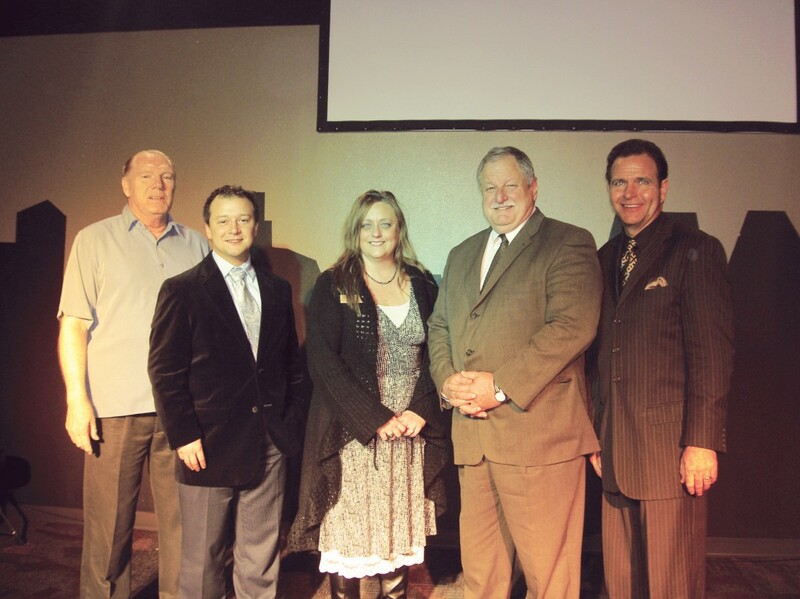 During a noon business session, the evangelists elected officers including Brock for a second term as president; Charles Keim, Tahlequah, vice president; Karen Rotert, Wagoner, secretary-treasurer; Rusty Capps, from Master’s Voice, music director, Bill Cox, Oklahoma City, assistant music director, and John Morton, pastor of Oklahoma City, Springdale, pastor-advisor.